Tom Hardy’s solo superhero Marvel flick, Venom, might not have achieved the ‘symbiosis’ with the majority of critics, but with the audiences, it has, and as a result, shattered the October box-office with a record domestic opening. Venom has scored the best October opening weekend figures of $80 million! This record was previously held by 2013 sci-fi film, Gravity ($55 million in opening week). And that’s not all. The Sony/Marvel action blockbuster also grossed a worldwide collection of $205 million. The bonding of Eddie Brock and Venom seems to sway the audiences at the moment. Along with Venom, there was also another big rival movie from Warner Bros studio, A Star Is Born, which also opened on a positive note. The musical drama starring Bradley Cooper and singer Lady Gaga in the lead roles grossed around $42 million from Friday to Sunday. Both the movies are expected to perform well in the coming weeks since there is no big competition, till October 19 when the big horror flick, Halloween arrives. The upcoming film is a direct sequel to 1978 original Halloween. But talking about Venom, then this movie has shocked nearly each film analyst by outperforming the negative reviews, ratings, and scores. But another movie rating website, CinemaScore, has given the film a ‘B+’ which means a very-very positive thing because that site combines direct reviews and opinions of the audiences going to theaters. Along with it, A Star Is Born (already being a critically exceptional film), has received a fabulous ‘A’ from CinemaScore, which was expected. 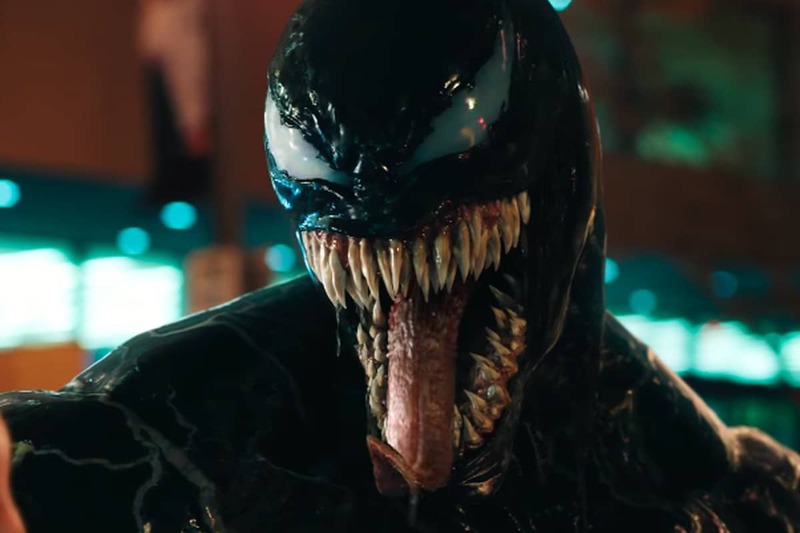 Directed by Ruben Fleischer and distributed by Sony Pictures and Columbia Pictures, Venom currently has a very poor score of 32% on rating/review giving portal Rotten Tomatoes. But it just doesn’t matter now, since the movie is a massive entertainer for the audiences and Tom Hardy has proven to be the savior and a big star for Sony. When it comes to India then here also, the ‘symbiote and Eddie Brock’ amazed the domestic releases, with an impressive collection of over Rs. 9 crores in just two days! Click here to read our review of Venom now.